I'm searching for the best burrito in Portland. This cart is located in a food cart strip on SW 4th at SW College St. There are plenty of Mexican food options on the PSU Campus. Within a 6 block radius I saw 5: Loco Locos, Taco Del Mar, Tito's Burritos, and 2 carts (there's a Chipotle close by too, I'm sure). What kind of college student wouldn't want a heavenly hangover cure that can be turned into 2 meals for 5 dollars? 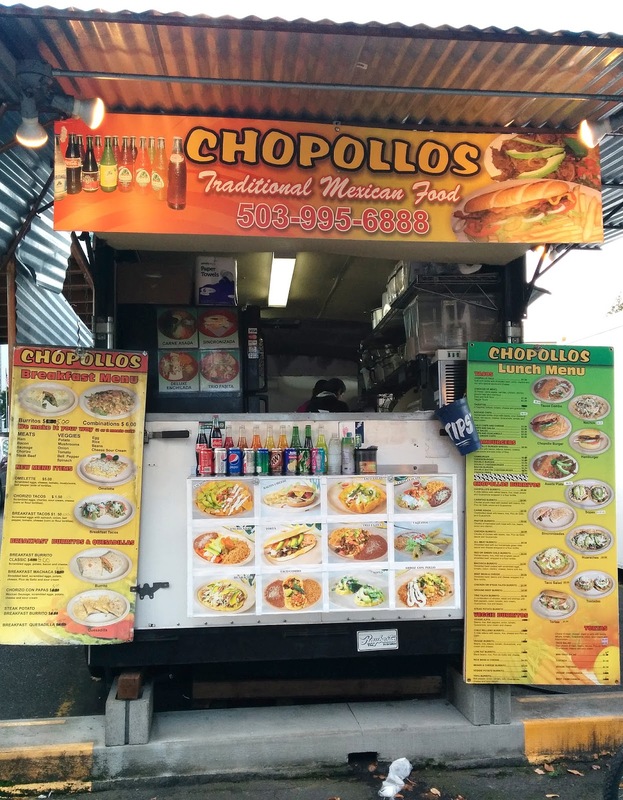 I choose Chopollos because it was open on a Saturday and it was new to me. I had to try their signature burrito! This puppy was bundled up nicely and had a perfectly grilled outer tortilla crust, giving it a nice hot crispy exterior and inner chewiness. Each bite was steaming hot, perfect for eating outdoors on a crisp fall afternoon. The inner ingredients were superbly layered, allowing for an equal amount of each to be enjoyed throughout. Copious quantities of cheese oozed from the relleno, and with each bite the strings of wonder stretched from my lips, holding tight until they could reach no further and SNAP! They dangled freely, only to be sucked into my mouth like sloppy ramen noodles. Nothing is much more satisfying than slurping up cheese strings. The relleno was of a more eggy variety than I usually enjoy, but it worked on this guy. There wasn't a ton of steak, which was fine with all the relleno and cheese to be savored, and the refried beans added a comforting toasty yumminess. The menu said it had guacamole, but i didn't taste any. Cheese, cheese, and more cheeeeeeeese! Would I go here again? Yes. Please like my facebook page for up to the minute news! 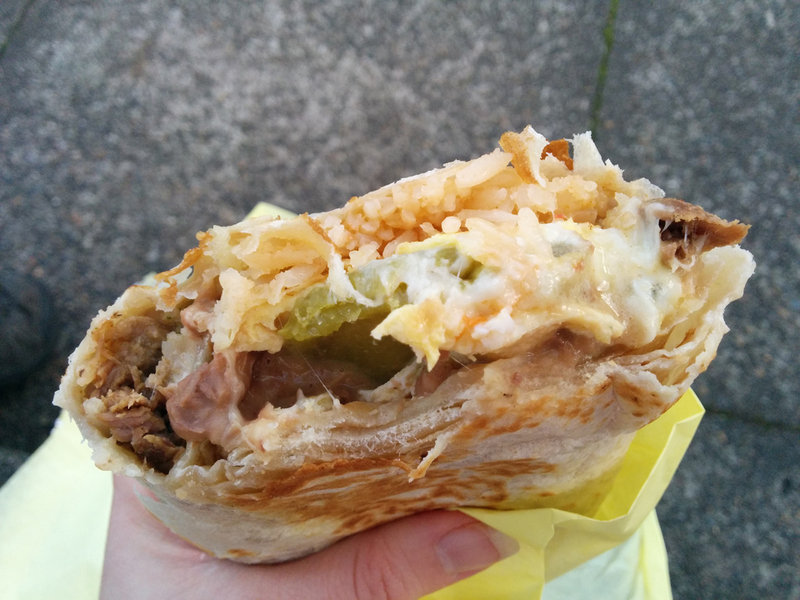 I'm on the hunt for the best burrito in Portland, Oregon. 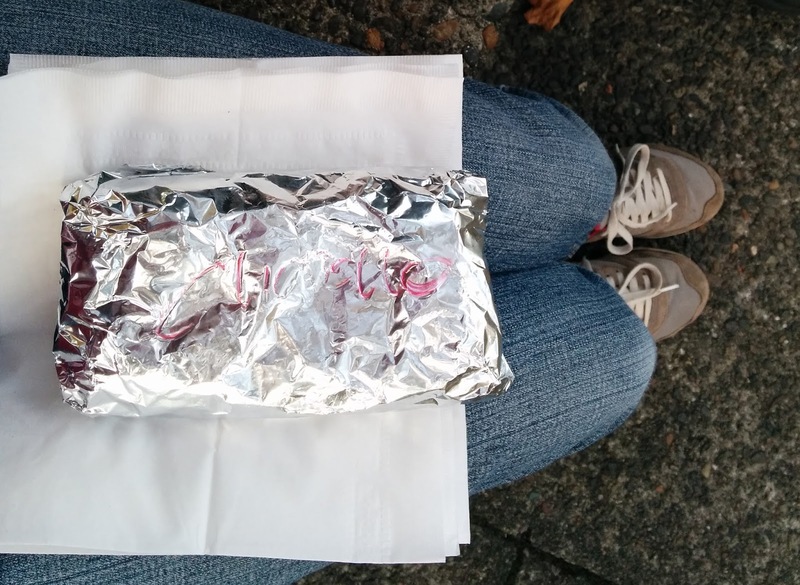 I'm a burrito junkie, can't live without them! 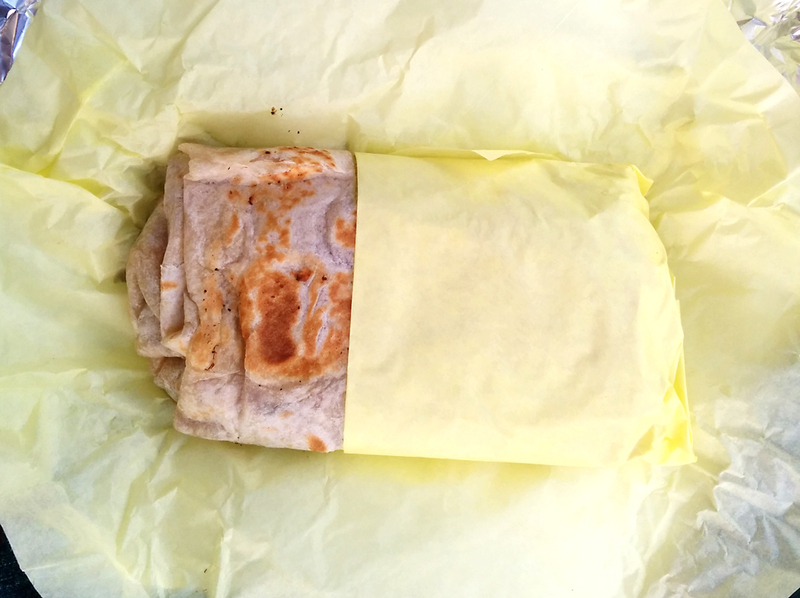 Curious about how I go about rating burritos? Here is the answer!